This is sightseeing that parallels a TV Show. “The Gilded Age,” is a new series by writer Julian Fellowes (Downton Abbey), set amongst the lives of New York’s Robber Barons in the 1880s it will premiere on NBC in the spring of 2019. The show tells the story of a new-money family trying to join the ranks of the Astors and Vanderbilts. The tour includes a Cabaret Dinner Show and a full day tour of The Gold Coast Mansions. We recommend lodging in Manhattan for a better experience; however we can offer alternative lodging for a lower rate in New Jersey, Brooklyn or Long Island. Day 1 – New York City – This is a travel day ending with your arrival in New York City. Your group will have a lodging choice. We can accommodate you in suburban New Jersey (least expensive), or in Brooklyn (slightly more expensive but better suited to this itinerary), or we will gladly put you in Midtown Manhattan the more expensive but best lodging option. We believe if you are visiting New York, for the purpose of seeing New York that you should pay the price and stay in New York – it’s simply better. This evening is free time. We will happily add dinner or activities as you wish, once you have decided on your lodging. 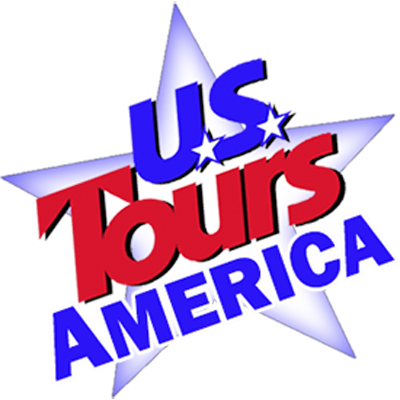 Day 2 – Gilded Age Touring – Today’s tour is the Gilded Age in Lower Manhattan. At the turn of the 20th century, the neighborhood of Gramercy & Madison Square Park was the home of extraordinarily wealth as well as the Tenderloin District: a den of brothels, vice halls and bachelor’s clubs. You will see the famed Flatiron Building, the skyscrapers of Madison Square, and Gramercy Park as your guide talks about New York City’s development, and the lifestyles of high society – including their vices. A special stop is made at Teddy Roosevelt’s Birthplace, NHS on 28th Street. Here you will see a film on the early life of young Teddy that will discuss the physical and emotional struggles he endured while growing up in a privileged Victorian-Era New York home. You will walk through the period rooms that contain a wealth of artifacts and memorabilia from his life. Also included today is a visit to the One World Observatory, atop the new One World Trade Center. Your experience starts by ascending the tallest building in the Western Hemisphere in less than sixty seconds. Here you look toward the horizon and feel New York’s invincible spirit. The experience starts with the See Forever Theater” and includes three floors of innovative exhibits and views. We will work other sights into this day as your time and interest desire. While at One World Observatory it would be a convenient time to visit Ground Zero and the 9/11 Memorial, also while we are in Lower Manhattan it is a good day to see Chinatown, Little Italy and Wall Street. But we are happy to head uptown this afternoon as well. We will help you create a trip unique to your group. Ending the day you find yourself at 54 Below, a Broadway’s Supper & Jazz Club that offers an unforgettable New York experience. You enjoy an absolutely wonderful dinner in a small room with tables no more than 24 feet from the stage and live music during and after dinner. This is the way entertainment used to be in New York. Groups traveling in the Spring (last of March to First of May), might want to schedule Radio City’s Spring Show as either an evening or matinee. Day 3- Full Day Gilded Age Tour of the Gold Coast Mansions – Today you explore the Gold Coast Mansions of Long Island. Built in the first part of the 20th century complete with gardens and grounds these estates were works of art. It was an extravagant time for society’s elite. Here they lived for a unique moment in homes that showcased the work of America’s talented architects and landscapists. You will have a chance to walk through Oheka Castle Long Island. At the time of its construction, the French-style chateau was, and still is today, the second-largest private residence ever built in America. During the Gilded Age of the 1920s, this 127-room estate was a summer home where they hosted lavish parties and entertained royalty, heads of state, and Hollywood stars. You will also tour Eagles Nest the home of William K Vanderbilt II. This 43-acre waterfront museum complex consists of a Spanish Revival Style Mansion, curator’s cottage, a seaplane hangar and boathouse, antique household furnishings, and fine art. Sagamore Hill is also on today’s agenda. It was the home and Summer White House for Teddy Roosevelt until his death in 1919. The home itself is a shingle-style Queen Anne design with a mere 23 rooms. Late afternoon you return to your hotel or the City, and you will enjoy a nice dinner before this evening’s Broadway Play. We will happily discuss with you restaurant choice that begin with typical Times Square themes restaurants such as Bubba Gumps and Planet Hollywood, and could include very high end establishments such as the recently re-opened Tavern on the Green. We will customize this trip to meet your interests. Day 4 – Depart – This is departure day.